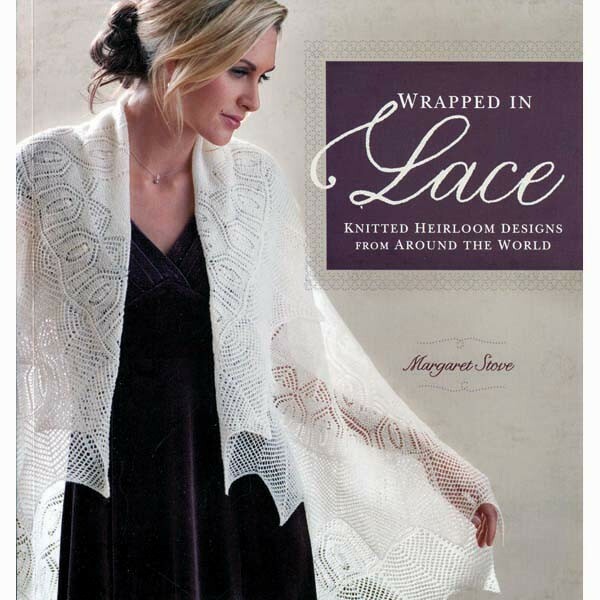 Margaret Stove's new book is a dream for lace knitters. Stove inspires us with the elegance of her designs--from a classic shawl so delicate it can be slipped through the center of a wedding ring to her more contemporary works. Stove is a known lace master and incorporates the traditions of lace designing from the Faroe Islands, Shetland Islands, Orenburg and more throughout her works. 12 projects and plenty of technical instruction, including how to repair knitted lace. Softcover.